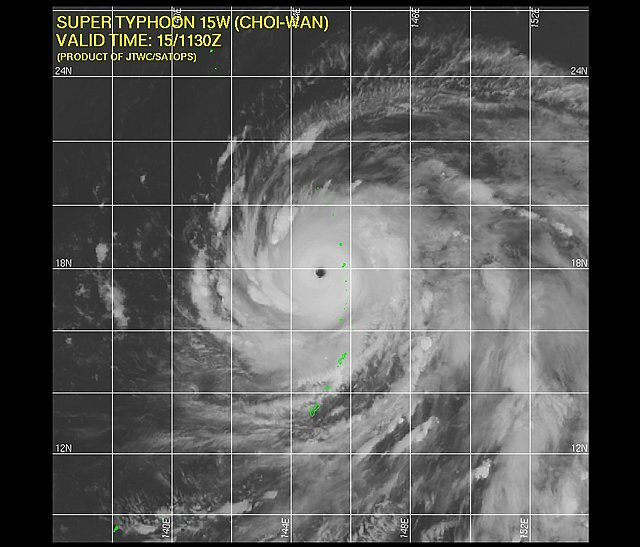 Super Typhoons and a Fall Heat Wave? So just because the past few weeks has been boring (but pleasant!) weather wise, that doesn’t mean there isn’t interesting stuff happening out there that might come knock on our door in some way. So, it’s not just a pretty picture either… if you click through the Satellite and Charts page on the left and go into the North Pacific Forecast you’ll see Choi-Wan in the 48hr and 96hr forecasts as it passes East of Japan and curves back our way. It will be worth watching it to see where it ends up. 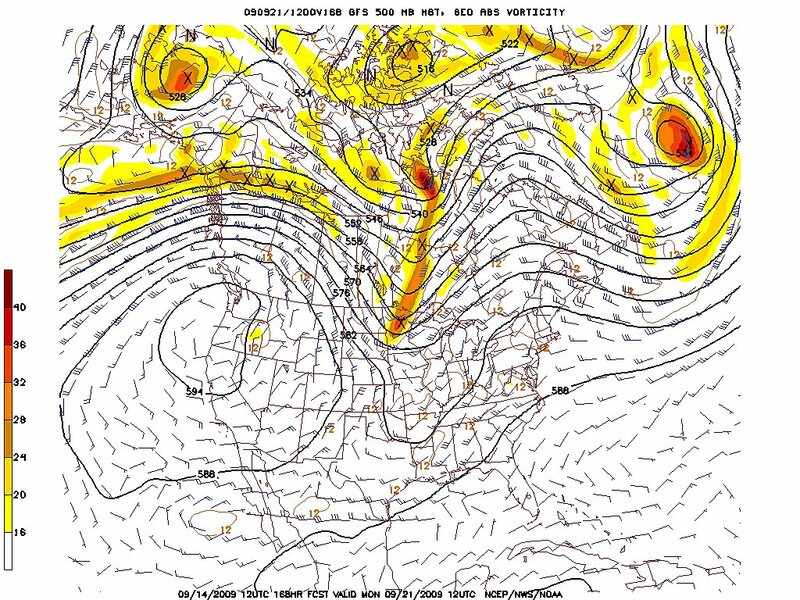 Who knows, it might get into Central Alaska, but it won’t get anywhere near us…. why? Well, thats the 2nd part of my blog post! Check out California forecaster Ken Clark and his line on next weeks forecast, which looks mighty hot for Californa… looks like Hawaii Mars will be busy down there. But we’re going to get a little of that heat too. Environment Canada is currently saying 22C for Monday, but don’t be surprised if that goes up because we have a great big high pressure ridge that’s going to park itself over top our neck of the woods and keep any rain, or Super Typhoons (the X you can see up in Alaska? ), at bay. This is Mondays forecast model… don’t put away the fans just yet! Previous Happy Fall Fair Weekend! Next The Heat Returns – Come to Harbour Quay 5:30PM Monday! Very cool Chris, keep it comin’. NOW I KNOW WHY THEY REFER STORMS TO SHE.LOOKS LIKE A WOMAN.